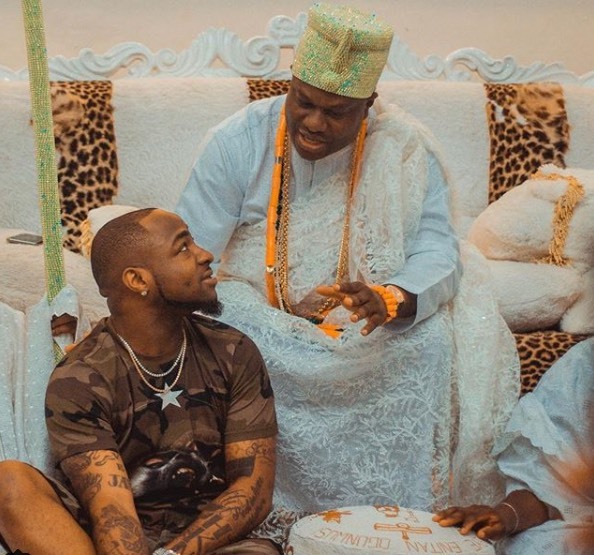 Popular Sensational Singer, Davido, on Sunday paid a visit to the Ooni of Ife, Oba Adeyeye Ogunwusi. 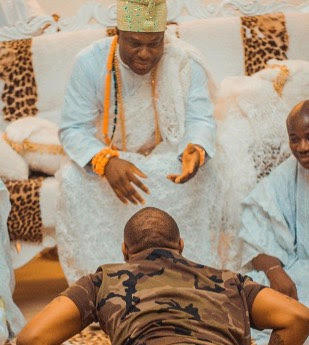 Davido, who hails from Osun State, was seen prostrating as he paid homage to the monarch. He beat Tiwa Savage, Casper Nyovest, among others in the category. Davido has been in the news after he gave his girlfriend, Chioma a Porsche car on her birthday, stirring controversies online.